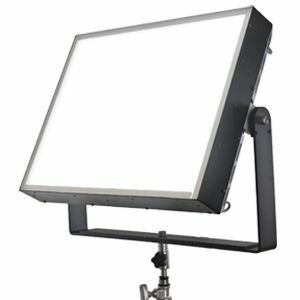 AAdyntech has expanded its line of fixtures with the new Punch and JAB Quad panels. At 278,000 Lumens (wow! 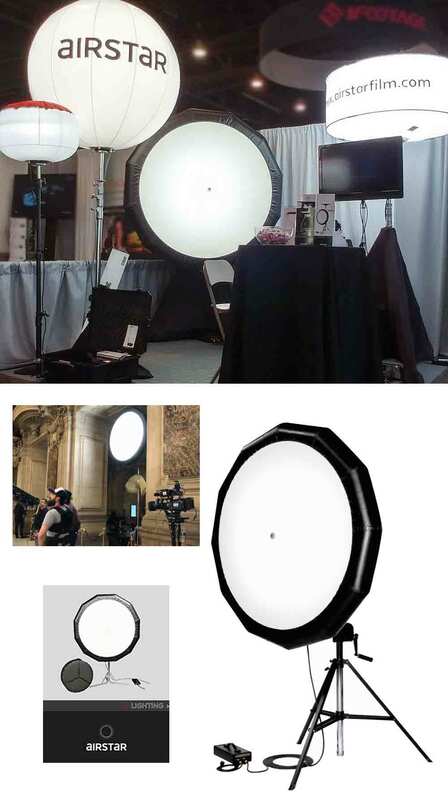 ), the Punch Quad has a 36” x 24” aperture. It has the equivalent output of four of its popular Punch fixture and is IP65 rated, all in a single soft panel configuration. The JAB Quad is a smaller version with a 24” x 18” aperture. 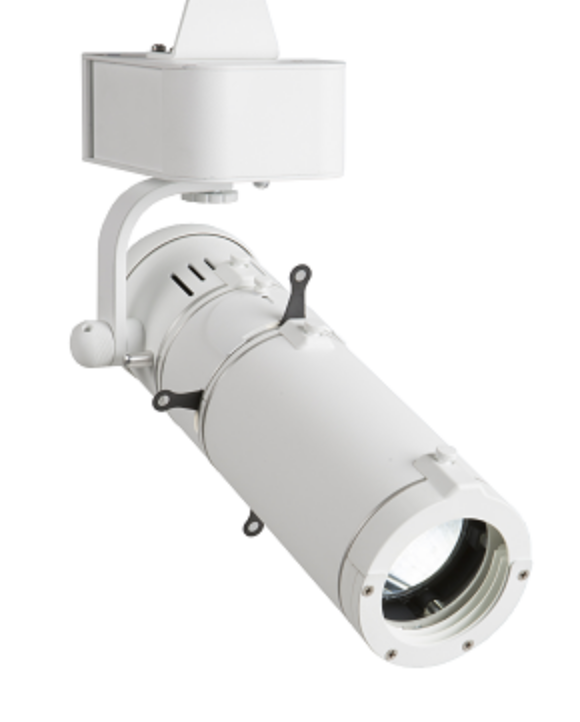 Both fixtures have variable white color temperature control from 2800K to 6000K with Plus/Minus green correction. 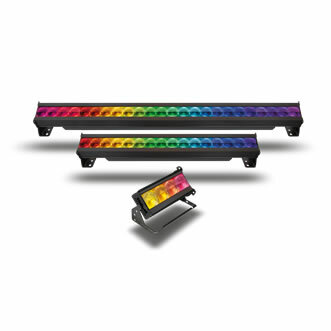 They are also RDM and wired and wireless DMX capable. 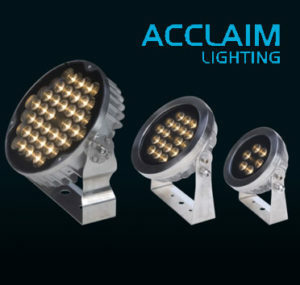 These fixtures are excellent for slow-motion photography as they are flicker-free up to 260,000 fps along with dimming. 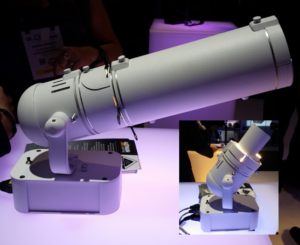 You can power them with 100/277VAC-50/60HZ. These fit a wide range of production needs and are very well built. 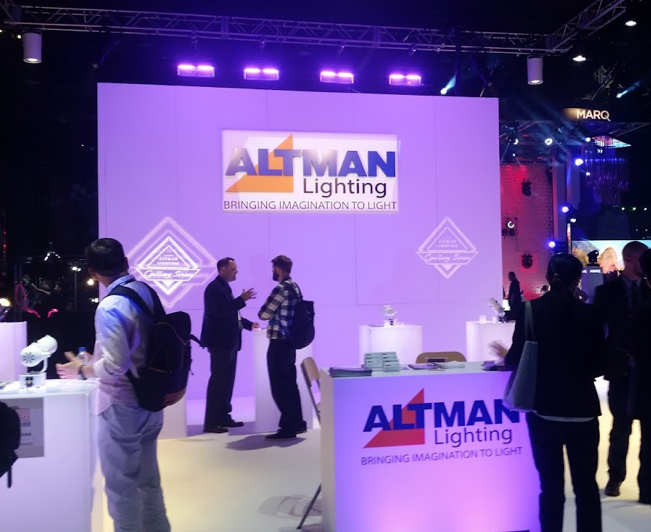 They dominate the sports lighting category for interviews and outdoor weather temporary set-ups and compete with HMIs with one-tenth the power required. 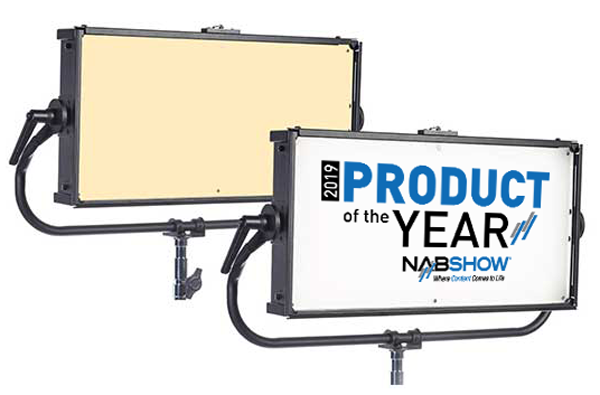 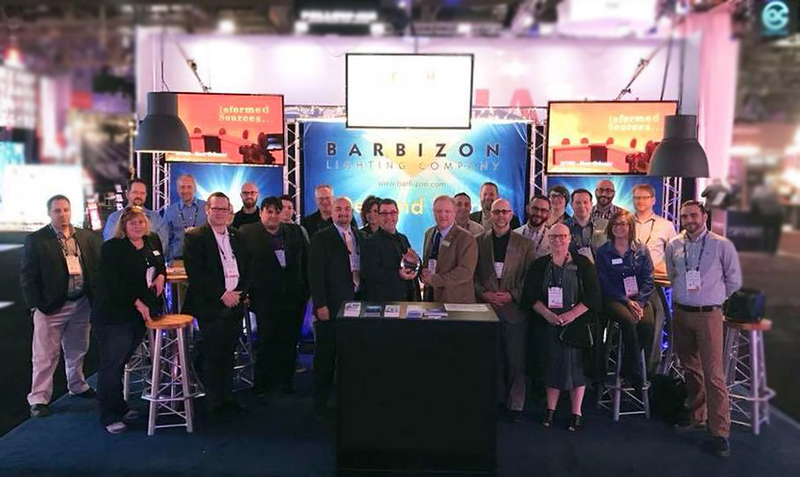 AC Lighting was awarded the 2019 NAB Product of the Year for their new Space Force onebytwo™, a cost-effective, bright, high-quality variable white LED soft light panel. The onebytwo™ is a modern replacement for traditional soft sources used in TV studios, live broadcast, film, and photographic applications. 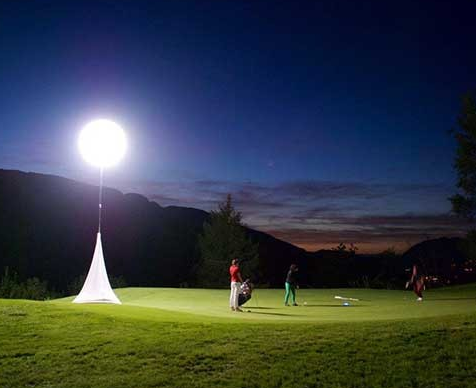 Highly efficient and natively single-source, the onebytwo™ offers variable Color Temperature between 2,800K and 6,000K, and has an output of up to 13,900 lumens. 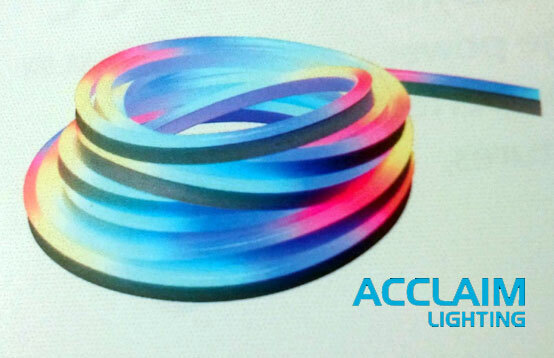 The extremely high quality, diffused light is matched by a superbly smooth dimming intensity gradation. 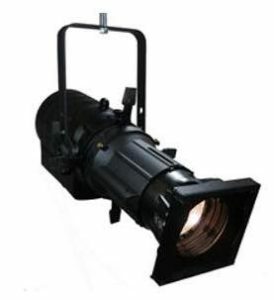 Convection cooling provides quiet operation for studio applications. 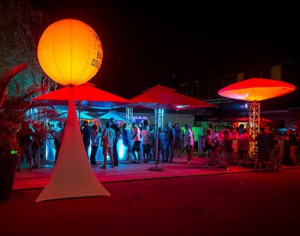 Airstar, a leading provider of inflatable structures and lighting balloons for the event industry, announced the enhancement of its successful Crystal range with the launch of two brand new innovative products – Sunshade and Crystal White 50k lum – at the 2016 LDI Show. 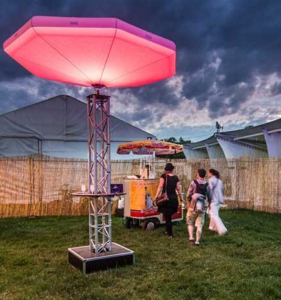 Following a successful pilot test at music festivals in France this summer, Airstar introduces Sunshade to the Crystal range: a large lighting umbrella which transforms the Crystal lighting balloon technology into a new envelope shape. Measuring 2.2 or 2.6 meters in diameter, it features the same RGB LED lights that can be found on the Crystal balloons and is DMX controllable. In addition to Sunshade, Airstar introduced the Crystal White 50k lumen lighting balloons (available in 130cm, 160cm, and 200cm diameter), which feature innovative LED lamps enabling eight times less power consumption versus halogen technology for the same luminous intensity. In addition, the LED lamps boast a lifetime of 50,000 hours vs 300 hours for halogen. 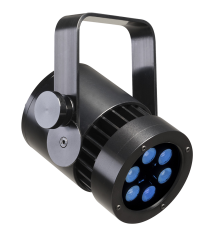 The Sunshade is currently shipping while the Crystal White 50k lumens will be available worldwide on 7th November 2016.